BACK IN THE MID ’90S, THERE WAS A LOCAL CANADIAN BAND, WELL SEMI-LOCAL. THEY WERE TWO HOURS FROM WHERE I LIVED IN THE SMALL TOWN OF ORONO, ONTARIO, CANADA. THIS BAND WAS DOING MUCH DIFFERENT MATERIAL COMPARED TO WHAT WAS BEING PLAYED ON ROCK RADIO. I WOULD CLASS THEM MORE OF A BLACK CROWES, ’70S SOUNDING TYPE BAND. THE NAME OF THIS BAND YOU MAY ASK? WELL IT WAS THE BUFFALO BROTHERS WHO HAILED FROM LONDON, ONTARIO, CANADA. THE BUFFALO BROTHERS BECAME A FAVORITE OF MINE. I HAD RECENTLY INTERVIEWED LITTLE CAESAR LEAD SINGER RON YOUNG. IN OUR INTERVIEW, HE ELUDED TO THE FACT THAT A FEW THINGS OF THE TOUR HE DID FRONTING THE FOUR HORSEMEN WAS A LITTLE SHADY. KNOWING THAT THE BUFFALO BROTHERS WERE THE OPENING ACT ON THIS TOUR, I DECIDED IT MAY BE WORTH MY WHILE TO CONTACT DRUMMER ARCHIE GAMBLE TO POSSIBLY FILL IN SOME OF THE BLANKS THAT RON YOUNG COULD NOT RECALL. OF COURSE, THIS INTERVIEW ISN’T PRIMARILY ABOUT THE BUFFALO BROTHERS. IT’S KIND OF A STORY OF A SEASONED CANADIAN ROCK N’ ROLL DRUMMER WHO HAS HAD THE OPPORTUNITY TO PLAY WITH SOME VERY COOL MUSICIANS OVER THE YEARS. IT WAS A PLEASURE SPEAKING WITH ARCHIE GAMBLE. HE SHARED MANY FUNNY STORIES FROM DAYS GONE BY. I HOPE YOU ENJOY WHAT MR. GAMBLE HAS TO SAY. Sleaze Roxx: Great to speak with you Archie. Right from the get go, let’s talk about what you’re currently up to. Then we’ll go into the past. You’re doing some session work? Archie Gamble: You know, at this point, I’m pretty much a gun for hire — on the local scene anyway. I’ve got a couple albums coming out I’ve played on. One from a group called Aaron Allen. ‘The Small City Saints’ — I played on that record. I’m doing a photo shoot for the album cover tonight. Then an album from a band called 63 Monroe. [It’s a] punk rock band. I have a few shows coming up with them. Just trying to keep busy. Session work and picking up shows here and there. Figuring out what my next move is. But I’ll always be a working musician. Sleaze Roxx: Are you still doing the cruise ship thing? Archie Gamble: No, I think that’s on ice for awhile. The cruise industry thing changed a little bit. They kind of tightened up on it. They put a salary cap on it. Tightened up on regulations. There’s a little more rules that apply where before you were basically like a passenger. It was a paid vacation basically. Sleaze Roxx: Did you do a lot of them? Archie Gamble: I did it for about three years. I did four ships. So, um yeah, it was definitely an interesting experience. It’s not where I thought I’d end up, but at the same time, it was very enjoyable. 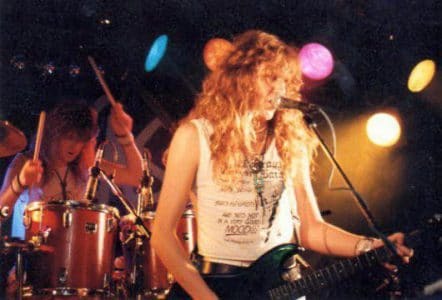 Sleaze Roxx: Nasty Klass was one of your first bands in the late ’80s? 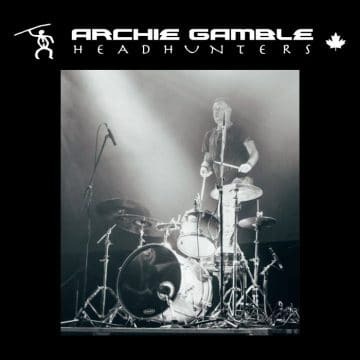 Archie Gamble: Well actually I started playing in bands when I was ten years old. Like a lot of us do, we start with your buddies in your neighborhood and what not. I started playing in clubs when I was fifteen. My first club gig was with a band called Rowkorr. R-O-W-K-O-R-R, thank you very much. We were just kids. We’d play an occasional club gig locally in Brantford where I’m from. Then I joined my first touring band, which was a band called Vandal. Vandal actually did really well. We were at the point where we were headlining Rock N’ Roll Heaven in Toronto and selling it out. It’s good for a cover band. The funny thing about Vandal was that two of the guys — bass player Tim Harrington and keyboard player Howard Petrolo — went on to play with Aldo Nova. Then Shawn Saunders and I went on to get a record deal with Buffalo Brothers. Then eventually we played with Helix. So everybody kind of spawned. It was a training ground for the next thing. Other guys in that band ended up playing for Carl Dixon of Coney Hatch. It was kind of a springboard for every one in the band to do something else. Then I joined Nasty Klass. Sleaze Roxx: Shawn Saunders was in that too, correct? Archie Gamble: Yeah, Shawn was in Nasty Klass too. Sleaze Roxx: so how far did you guys go with Nasty Klass? Archie Gamble: Well, that was the first band I was in that [did] really went. Sure, we’re playing all the time and everything is going good but where you gonna [go] with this? How far can you go? So that was the first band that really started writing music. We started slipping originals into the show. We found that people weren’t dancing to them. People were responding, but hey we weren’t getting fired. So we got to the point where we were playing 10-12 originals a night. So we decided to come off the road — limited to weekends. That was right around 1991. Then the scene started to dry up. Still playing weekends but the traveling, playing six, seven nights a week was drying up. So we all moved to London, Ontario together. We got a townhouse together. We all moved. We gigged on the weekends. We’d rehearse Monday through Wednesday. Write music. Then go into the studio. We’d use the band money to finance demo tapes. Then that eventually warped into Buffalo Brothers. Sleaze Roxx: I was actually going to ask about Buffalo Brothers. You guys were Paleface originally? Archie Gamble: That’s right. We actually signed our record deal as Paleface. We signed with Attic — Universal. The contracts said Paleface. Publishing deal was done as Paleface. Album was finished, our artwork was done. We’re getting ready to put it out. We get a cease and desist letter from Atlantic Records in New York. 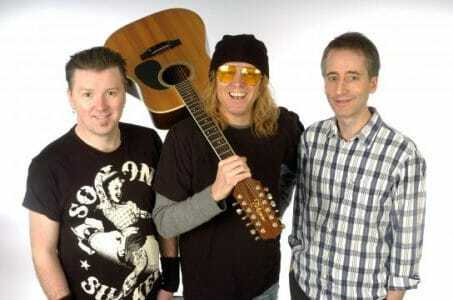 They had signed a solo acoustic artist. Like a Beck kind of artist by the name of Paleface. Then they said “You gotta change your name.” And this was like down to the wire. The album had been mastered. Getting ready to be manufactured. 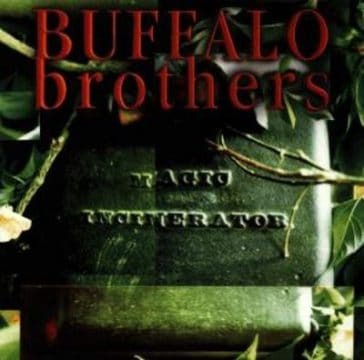 Record company said “We need a name now.” So the other three actually came up with the name Buffalo Brothers. I was away on tour with Alive. I was still [doing] a side gig for the KISS Tribute. They called me on the road and said “How about Buffalo Brothers?” I said “Yeah great, we need something.” So that was it. Archie Gamble: It really changed the band. We were trying to change with the times. Nasty Klass was great. It was a great rock n’ roll hair band. The writing we were doing was a little more bluesy. We had the Hammond Organ involved. So we were going for something like Neil Young’s ‘Crazy Horse’ you know. That kind of vibe a little more. So Buffalo Brothers just seemed to fit, right? Sleaze Roxx: You guys toured with Brother Cane? Did you do the whole Canadian leg of the tour? Archie Gamble: I believe that was just before the album came out. We did a handful of dates. We did London, Toronto and Ottawa. I know for sure. They were great guys. Great band. They treated us really, really well. They were fun guys to play with. We were happy to show them Canadian hospitality. I remember taking them out. We played at Ottawa at Barrymore’s. Then after the show, we took them over to Hull, Quebec ’cause the bars were open later, right? So we had another hour or two of partying. We took them over to see some, um, live entertainment. They were southern boys. I think they were from Alabama. They were like “You Canadians are crazy. You’re crazy man.” I couldn’t get over that and they loved Canadian beer. They were still pretty young themselves. I mean Damon of course has gone on to do a lot of touring since with Alice Cooper, Black Star Riders. At the time I think they were just starting the game themselves. It was a good match. We called it the Brother to Brother tour. Sleaze Roxx: So after the album came out, you did The Four Horsemen tour? Archie Gamble: We also did some sporadic dates around Ontario. You know once you get signed to the machine. Now you’re with an agency. So you get the push. They’re gonna try to get radio to pick you up. We did some shows with Seven Mary Three. You remember that band? “Cumbersome” — you remember that song? We played with an artist called Poe. We did some stuff the record company and the agencies would set up. High profile shows. But yeah, the next major tour we did was with The Four Horsemen. Sleaze Roxx: That was what 13-16 dates? Archie Gamble: It was six weeks in total. The first part was in and around Ontario [and] Quebec. East. Ending in Windsor. Then, there were two or three days off and the next show was in Edmonton. First show. Second half of the tour. 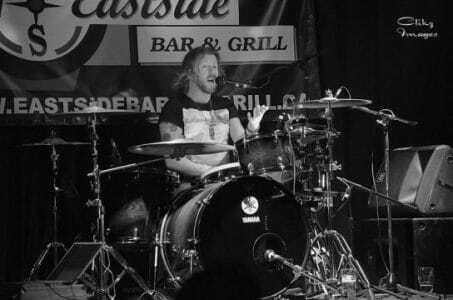 Sleaze Roxx: The Edmonton show, you played drums for The Four Horsemen? Archie Gamble: We hit it off with those guys. We were both pushing a boulder uphill. They’re very much southern rock meets AC/DC kind of band. And we were more kind of a Black Crowes, Rolling Stones thing. It wasn’t very fashionable at the time. Grunge and alternative were big. But the two bands were simpatico. We got along as people. The funny part is that. God this is funny. We were driving from Windsor to Edmonton. We finished on Saturday. The next show was on a Tuesday. Randy Cooke was playing drums for The Horsemen. 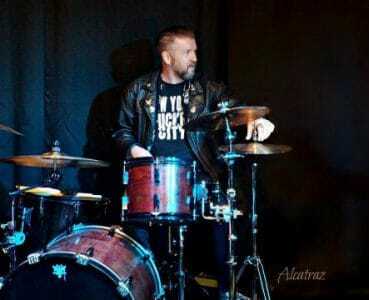 At the time, Randy was the top session drummer in Toronto. Now he’s in L.A. He’s a great session guy out there. So he went back to Toronto. He had some session work booked. Then he was going to fly into Edmonton. So we get there the night before the show. We have the night off. We all go out together. We went to a club. I remember Dave Lizmi, myself and I think Pharaoh Barrett getting up and jamming with a local band. Just had a really good time. So the next day comes and we’re playing at the Thunderdome. Big club. Two levels. Sold out show. So we go in, we’re waiting to do soundcheck. So The Horsemen are standing around waiting. No one can reach Randy. He’s supposed to be there. Haven’t heard from him. He hasn’t checked in. So the band says “Archie would ya hop on the kit? So that we can do a couple songs for soundcheck.” I said “Sure no problem.” We’d been touring with them for three weeks at this point. I start to pick up the tunes. So we do that. Buffalo Brothers — we put our gear up there. We do sound check. The promoter opens the doors. We do our show. At the time, we had a handful of markets that we did really well in. Edmonton was one of them. We were Top Ten on Edmonton radio. The crowd was singing along to us. I’ve only had a few rock star moments in my life and that was one of them. The tour manager grabs me after we’re done and says “We just found Randy. He’s still in Toronto.” I go “What?” “Yeah he thought the show was tomorrow night.” Someone had given him the wrong itinerary. So I went up. I played. Sold out crowd. They said, not putting words in their mouths, it was one of the best shows of the tour. Randy came the next day and the tour resumed without incident. Then ironically, the last date of the tour was in Victoria, B.C. [British Columbia, Canada]. We all had lunch together the day of the show. I’ll never forget this. Dave had gotten a phone call offering them a Europeon tour. Of course they ran it by Randy and he said “Oh I’ve got session work booked.” So they offered it to me. I talked about it to to my band and they said “Sure, go for it. It’s just [a] couple weeks.” Then they broke up shortly after that. It never happened. Sleaze Roxx: During the beginning of the Buffalo Brothers you were still playing in Alive? Archie Gamble: Yeah the very, very early days. Then I found that I just couldn’t do both. I was managing Buffalo Brothers as well, which I tried to change. I tried to get us someone. I flew to Vancouver. I was doing it out of necessity. There was only so many hours in the day. You know you gotta pick your priority. We had the record deal, but the album hadn’t been released. It was actually a pretty exciting time in my life. Towards the end of Alive, we toured with KISS. We did nine shows with KISS on their convention tour. Summer/fall of ’95. We had the record deal. The advance was in the bank. Things are moving forward. Signed an endorsement deal with Sabian and I was on tour with KISS. I was 25 years old and thought “Wow, it’s finally starting to happen.” I really enjoyed Alive. It wasn’t gonna make me rich and it wasn’t going to be my career. Boy, it was fun you know. I joined them after they were already a reputable thing. 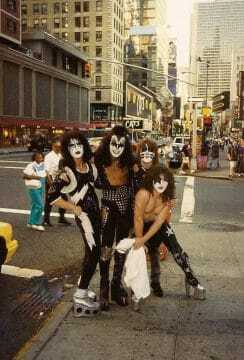 Their hard work paid off and that’s how we ended up touring with KISS because KISS were very aware of who Alive were. Sleaze Roxx: After Buffalo Brothers, you joined Helix? Archie Gamble: After we lost our deal, I was kind of wandering about. Right around 1997, Fritz left Helix and moved to Detroit with his wife. Then eventually Florida. Brian Vollmer and Daryl Gray called me up and offered me the gig. Sleaze Roxx: Shawn and Stan from The Buffalo Brothers did Helix at one point as well right? Gamble: Yeah, I eventually brought them in. What was happening was we had gone through so many line-ups of that band. So many people coming in just for the money. Just for the gig. Toronto guys. Do one tour, then leave. Finally I just said to Brian, “You need some stability.” The guys were in London. Brian was based in London. It made sense. We can rehearse. They were in it for a year maybe. I was in the band for seven years from ’97 to 2004. Then I joined The Joys. The Helix gig was great. I remember taking my allowance, going down to Records on Wheels and buying the cassette of ‘No Rest For The Wicked.’ Then they played the Brantford Civic Center. I remember working my way down to the front row. Singing “Gimme an R” and then I’m in the band. Sleaze Roxx: Well Archie. Thank you very much. Archie Gamble: Yes, of course, thank you. Here’s a little tidbit if you’re interested before I go. After the tour with The Four Horsemen, I got a phone call from Dave Lizmi. The Four Horsemen is Dave Lizmi. It’s his baby. He asked me. He was forming a new band. With, ah, what was the guy’s name? Not Audley Freed. What band was Audley Freed in? Sleaze Roxx: Cry of Love. Archie Gamble: Yeah, ok, the singer of Cry of Love, Dave Lizmi and I.
Sleaze Roxx: The first singer? Archie Gamble: Yeah, Kelly Holland. Dave called me said “Hey.” Buffalo Brothers were at the end. “What are you doin?” I said “Just giggin’ you know.” “Well I’m talking to Kelly from Cry of Love about putting a band together and I want you to play drums.” I said “Absolutely.” Then I never heard about it again. But that’s the game of that. Great, overlooked Canadian band Buffalo Brothers. Video for the first single off their album Magic Incinerator, Stone Me. Had to remove this small movie clip from the multimedia portion of the CD so it not great quality, but it’s the only copy available.